It's hard to decide what day was the best. Was it Orient Beach in St. Maarten? Being in San Juan again? Eating and drinking at the Smoking Rooster in St. Thomas not one time or two times, but three times? Going snorkeling in Grand Cayman? Or being able to come to the ship after dark in Cozumel? Was it the naughty menu in Nassau? The beautiful pool in Amber Cove? Knowing where to find the less-busy part of the beach in Roatan? Or finding out the bartender we love at 5 O'Clock Charlie's in Ft. Lauderdale had been keeping one my the encouraging word money pockets from a long time ago in her wallet? Couldn't tell you. There were so many perfect days. For a last-minute (and cheap) trip we couldn't have asked for anything better. (Although we certainly could have skipped hubby's two falls. He's still not put back together.) I couldn't even tell you what the favorite thing I drank or ate was. Even my favorite picture can't be whittled down to one. What did we not like? After 31 days on a ship it would be hard to not find something that sticks in your craw. We came away with two things. 1. Passenger behavior. The ladies who kept smoking on the balcony next to us and also left dirty towels and dishes near our door. And the couple at the most traveled guest party who harshly and loudly ripped into the pastry chef for a lengthy amount of time. 2. Certain crew members working the seating area of the buffet. Consistently nonchalant, non-engaging, kinda-sorta going through the motions of doing their jobs. They proved that sometimes a job is just a job and that working for Princess doesn't mean it's always about providing passengers with a good onboard experience. 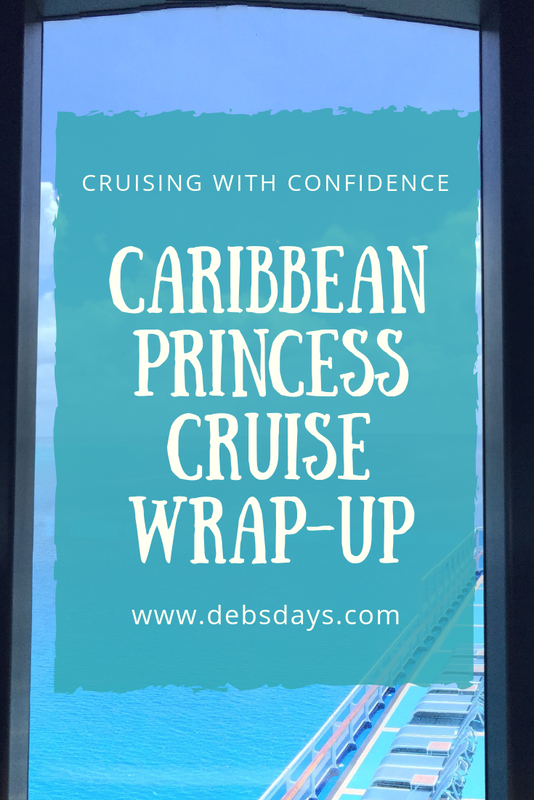 And what did we like on the ship? All the rest of the crew. Smit, our cabin steward on Lido deck. Best cabin steward ever. Joseph, the cabin steward on Baja for the last leg of our cruise. He and Smit teamed up on the towel animal demonstration. So talented. The vibe in International Cafe. Alexa ran a tight team, but had fun along the way. Dancing, singing, and super service. Also kudos to the ladies and gentlemen who took good care of hubby every day. Who had enough patience to listen to his stupid jokes over and over and over. The Salty Dog Grill chef (he was so much more than just a hamburger flipper!) from Sri Lanka. Talented, friendly, and knew how to cook up special burgers. The bartenders at The Mix. We didn't drink on the ship, but they were just as friendly and fun to hubby every time he stopped by to get a glass of ice water. The officers we visited with at the most traveled guest parties. We're very fortunate to always have good conversations with these folks. Whoever kept sending us fresh flowers. We suspect we know who it was so thank you for sending them to us three times over. The chefs of the new buffet, the World Fresh Marketplace, for being innovative in their approach to buffet food. We know it's a work in progress but we did appreciate having something new and different to eat. And I sure loved having items already divided up into cardboard food trays. It made it easy to grab and go without having to touch the tongs. And I've said this before, but a big shout out goes to John Padgett, the Chief Experience and Innovation Officer for the Carnival Corporation (the guy heading up the Medallion experience) for allowing me insight into the inner workings of the Medallion roll-out process and for the support given me as I worked at delivering an honest account of my experiences on the ship. And thank you for allowing me access to the team - from Vicki and Francois to Korli and Andrew. All of you have been extremely helpful and supportive as I've asked my dozens and dozens (and dozens) of questions. I hope you've found my coverage fair and factual. Speaking of the Medallion roll-out, when I looked back at my photos I realized I saw and learned A LOT. Want to see the progression of the roll-out over the full month? I did a wrap-up video of the Medallion here. Sept 8-18 updates can be found here. Sept 1-8 updates can be found here. August 25-Sept 1 updates can found here. August 18-25 updates can be found here. I hope you've enjoyed tagging along on my month of cruise ship living. I'll be starting up again in a few weeks, so stay tuned. 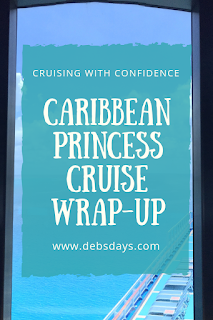 Now, as a reward for following along with my travels, I'm offering my Cruising with Confidence eBook for free on Amazon this weekend. Click on the book below on September 22 or 23 and it's yours for free! If you like it and have the time, if you could please leave a kind review I'd certainly appreciate it. As usual, if you have any questions or comments, please click on the envelope icon at the top right of this screen.